JOCKEY BOX, SE, c.p.b. 2 faucet - F.H. Steinbart Co.
30 quart Jockey Box with double faucets. 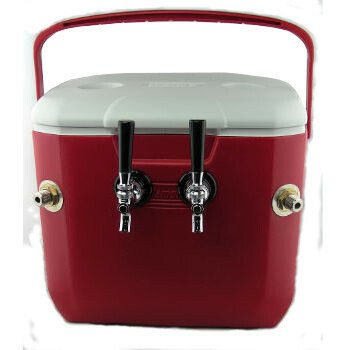 Compact cooler with carry handle makes this jockey box easy to carry with one hand. 2 Stainless steel coils – each 5/16 dia. X 50 ft.